Share your love for your neighborhood at our “Staten Island Love Letter” interactive station. Jot down your thoughts and add them to a map representing our New York City story. * Music by DJ Dizzle. Selected artworks will be for sale, and proceeds will be donated to Ramsey Orta. 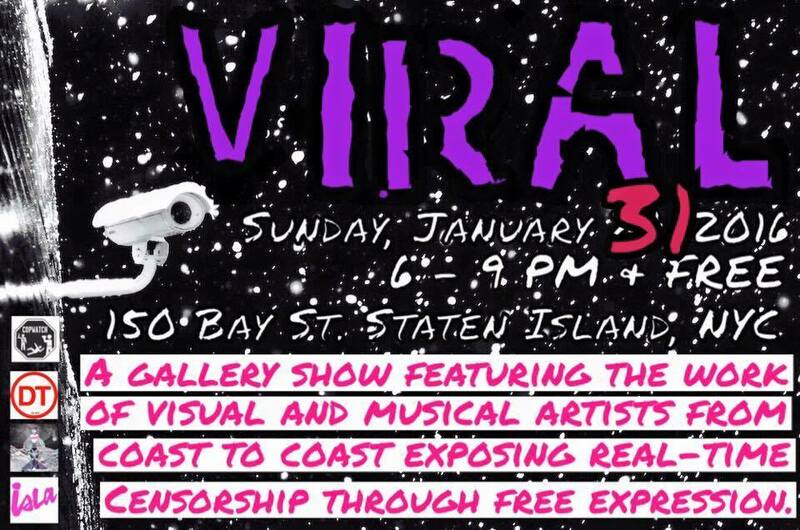 The show is curated by Staten Island native Nati Conrazon of local arts & programming collective ISLA. Read “Can Love Go as ‘Viral’ as the Eric Garner Video?” to find out more about Nati and the program! Deep Tanks Studio is about a ten-minute walk from the ferry. Directions HERE. View photos from VIRAL HERE and portraits of attendees HERE.